June 6, 2017 By Editor & filed under Blog, Success Stories. Success: 40 pounds lost so far! Several years ago I gained about 37 pounds. It just literally crept up on me! I began to feel miserable. I found myself hiding from pictures, not going out to events because I felt so bad about myself… losing my confidence. Then I realized this behavior wasn’t my normal personality! I had never been this heavy, except for when I was pregnant (and I was able to take that weight off). I was getting depressed and feeling tired all the time. I have been a fan of Chris Freytag for many years! I followed her on her GHU Facebook page. I began cutting my portions down, eliminating fast food, making healthier choices, and working out daily. I joined GHUTV as soon as it was created! I slowly began to lose inches and the weight started coming off as well. Honestly, it did NOT happen overnight. I never obsessed about the scale and just continued to work hard. In total I lost almost 40 pounds over the course of a year. I am a firm believer that exercising consistently does wonders for your mood as well as your body. At 55, I have gained my confidence back and NEVER felt better! I love the LIVE workouts! I’m also a fan of Bodyweight Fusion, Definitions, and the HIIT workouts. It’s hard to pick a favorite! The private Faceook group is very motivational for me. It helps keep me accountable. There are so many lovely ladies on there and no one judges anyone. No matter what your fitness level is you will find something, and modifications are always offered by Chris. There is such a variety of workouts that you can’t ever get bored! Chris shares her fitness knowledge with us every week on Mondays in what she calls “lunch and learn.” Honestly, you can’t put a price on what your health and wellness is worth. Chris Freytag has not only made it affordable for everyone, she has made it accessible for ALL fitness levels and I deeply appreciate her passion for motivating and guiding me through my own personal journey! A big thank you to Gigi for sharing your story with us. Keep up the wonderful work! YES U CAN! 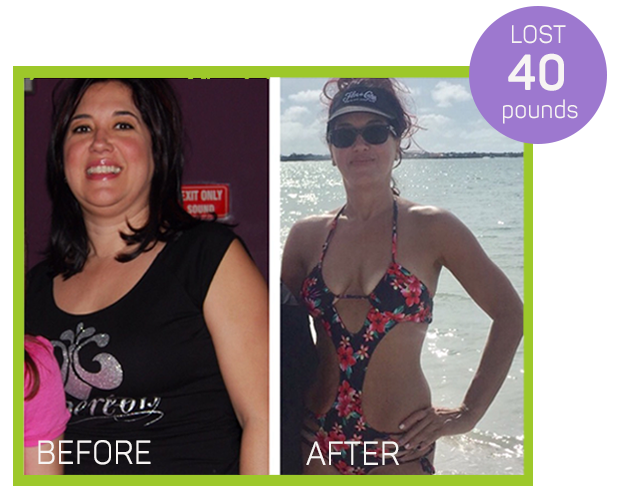 Wow, great story, Gigi, and congratulations on your hard work!